Jedi Max (my friends son who is fighting brain cancer) was recently on the news with a really awesome piece about him. You should check it out. It’s worth the watch. Watch Max on the news! Also, my other friend made a youtube video of Max thats really sweet. The DIV Village is totally amazeballz and turned their boring basic pantry into this awesome built-in pantry. 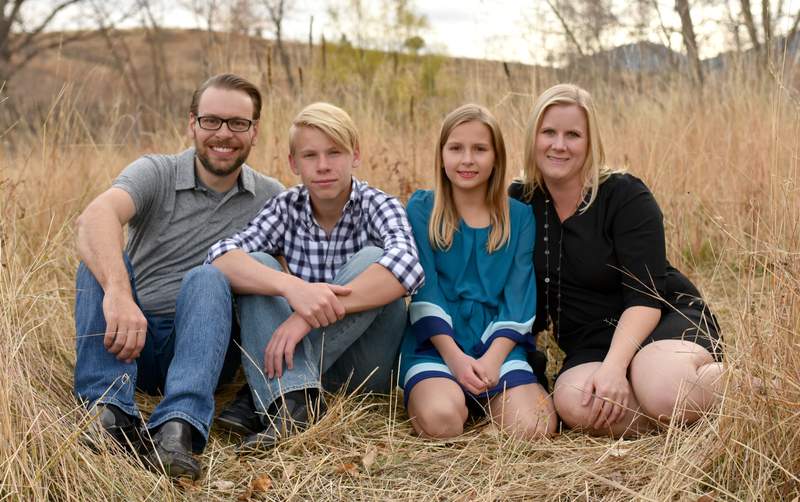 Make a fun brag book for Mother’s Day following Nalle’s House‘s tutorial. Golden Boys and Me DIY’d the most fab bathroom ever. 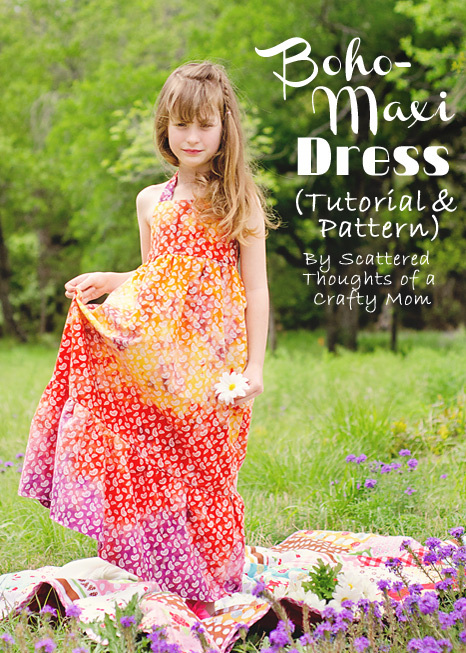 I love love this maxi dress pattern and tutorial from Scattered Thoughts of a Crafty Mom. What a beautiful dress. It’s Always Autumn is always sharing awesome posts. This time learn how to blur the background on your photos – the easy way. 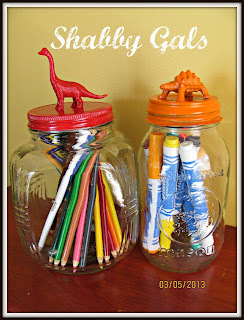 I can’t help it, I just love these bright colored dino topped jars from Shabby Gals. 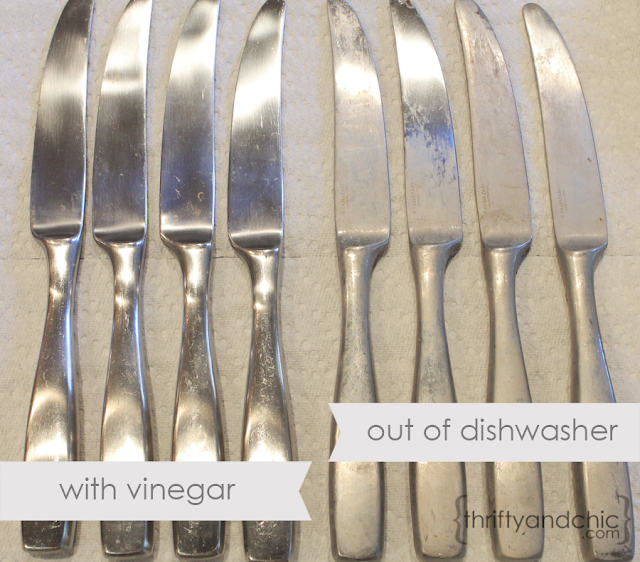 Thrifty and Chic shows how to remove all those hard water stains with a simple vinegar trick. 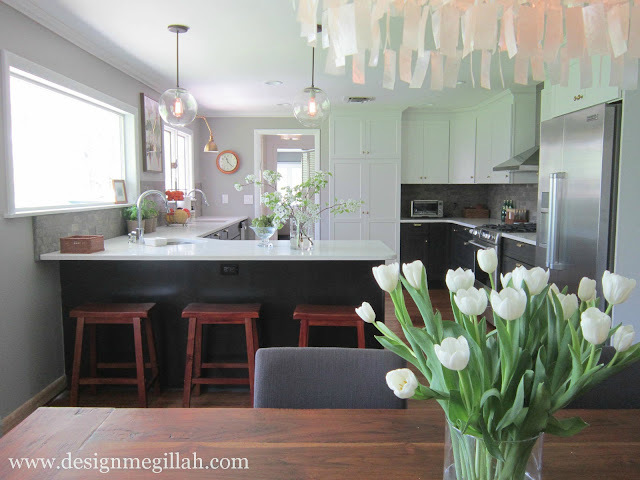 Design Megillah designed the most amazing kosher kitchen ever. These cement garden balls from Creative Passage are so cool. You’ll be surprised how she makes them. 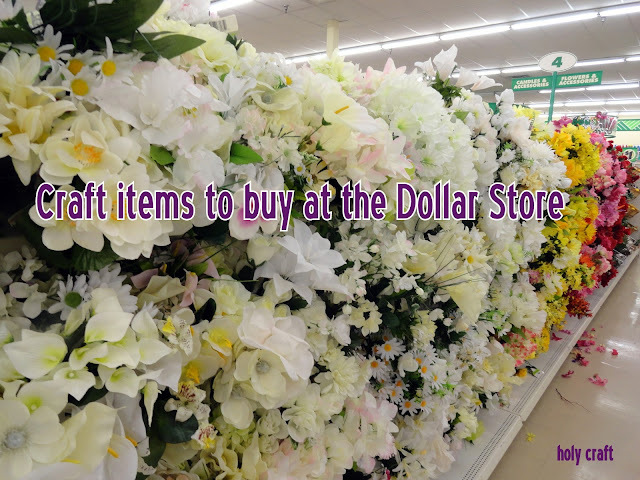 Holy Craft has an awesome post about what craft items to purchase at the dollar store and also how to use them once you get home. 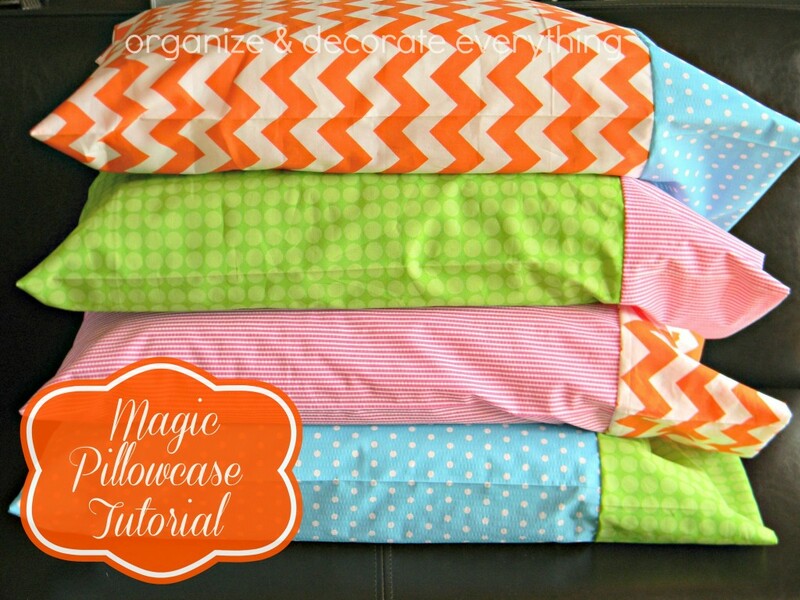 Organize and Decorate Everything whipped up these bright fun pillow cases. And the best part? The cuff at the top has a completely hidden seam. Check out how she does it. The Scrap Shoppe Blog baked up some delish looking blackberry cheesecakes and shares the recipe with all of us. Sweet. « Your questions answered about the new house! Thanks for hosting! Sending prayers for Max and his family every day. Thank you for sharing his story. Thanks so much for hosting and for featuring my brag book. Love all the features. Those concrete garden balls are so neat! Enjoy the rest of your week. Thanks so much for hosting, Allison! I am LOVING all of the updates on the new house! Keep ’em coming! Hope you’re having a wonderful night! Thanks for hosting…loved the new house tour! How exciting to have a whole new project!!! It’s really pretty! Lots of prayers for Max, thanks for sharing. Thanks so much for hosting…and thanks for featuring my garden balls too!! thank you so much for hosting your party!! I brought my Pink Starburst Cocktails to share! Thanks for the party. I had to show my husband the pantry that’s featured. I want THIS now! Have a great evening! Thanks so much for hosting Allison! I loved reading your Q&A about your house – looks amazing! Hi Allison, Congrats on the house and thank you for featuring my boho dress tutorial! Thanks for hosting, Allison. Prayers for little Max. Amazing features this week. The amount of work ! ! Wonderful results. Thanks for hosting. Thanks sooo much for hosting Allison!! Thanks so much for hosting! What a great segment on Max! Today starts a 6 week social media blog hop over at Just Us Four! This week’s focus is Facebook pages. I hope you will stop by and link up. Thanks so much for the great party, Allison! Have a great day, and Happy Mother’s Day this weekend! Thank you so much for hosting, Allison. Hope you are having fun unpacking and brainstorming future projects / decorations. 🙂 Have a beautiful Mothers Day Weekend! 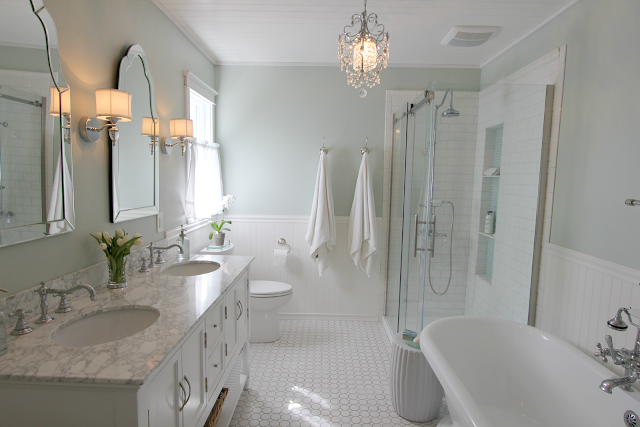 Thanks so much for featuring my master bathroom! Loved many of the other features, too. I loved getting to see our new house…can’t wait to see you make it your own. Thanks for hosting Allison! I love to see all the features! Have a great weekend–Happy Mother’s Day! Thanks so much for hosting every week! Fantastic features. I went on a pinning frenzy! Such great features! Thanks for the party! Thanks so much for hosting again lady!! Hope you have a Happy Mother’s Day! Congratulations on your move! Thanks for hosting! Thank you for hosting. That segment you linked was great, as were all the features! This week, I am linking up my Tricky Tabbed TP Album tutorial. Cheers! I just found your blog and I’m now following. Also, linked up a table I did this week. Thanks so much for hosting and all the best to your friends son, my mom is going through chemo now for breast cancer and it’s a horrible disease, but to strike a child is horrendous. Precious video and prayers for Max! Thank you so much for hosting, and have a wonderful weekend!! Wow…Thanks so much for featuring my dinosaur containers!!! I so appreciate it!! Thanks for hosting each week Allison! I can’t wait to browse thru this linky list – looks like there are so many awesome contributors! I am new here and becoming your newest follower as of right now! Thanks for offering this opportunity to be inspired and to inspire!